The controversial US outsourcing giant brought in to deliver “fitness for work” tests for the government is facing allegations that it discriminates against disabled staff, and has sacked hundreds of nurses shortly after tempting them to leave the NHS. 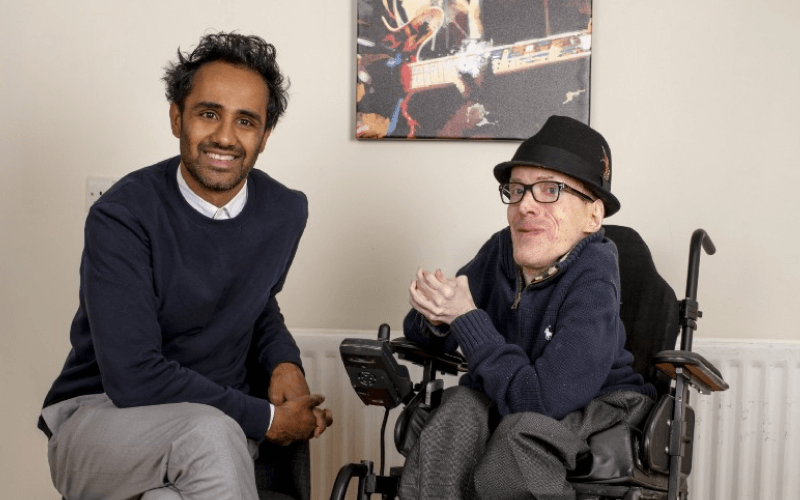 Maximus only took over the contract to provide work capability assessments (WCAs) in March but four whistleblowers have already come forward to raise their concerns about the way the company operates. They have described the practices of Maximus – which operates the contract as the Centre for Health and Disability Assessments – as “draconian” and “ruthless”, and say bullying managers often leave staff cowering, unsupported and experiencing high levels of stress. The revelations come as campaigners are scouring complex new figures released by the government – following years of requests by activists – showing the number of people who died after being found “fit for work”, at a time the tests were being carried out by the much-criticised Atos Healthcare. Protests took place across England, Scotland and Wales in March (pictured) when Maximus took over the WCA contract from Atos. Protesters pointed to Maximus’s lengthy record of discrimination, incompetence and alleged fraud in the US, and said that the replacement of one “toxic” profit-seeking company with another would make no difference to those disabled people being assessed. At the time, Maximus called on activists to “separate the work that we are doing from the policy that they are protesting”. But Disability News Service (DNS) has now spoken to four current and former members of Maximus staff, all of whom took jobs as assessors, and all of whom have worked as nurses in the NHS. Among their claims is that Maximus is tempting staff from secure and vital jobs in the NHS with the promise of nine-to-five jobs and starting salaries of up to £38,000, but is then sacking the vast majority of these new recruits because they are failing to carry out assessments in the exact way approved by the company. They say they were told they would have a six-month probationary period, and that they expected support throughout that period. But managers are said to be telling staff that they do not have time to support them, because of the 700,000 backlog in assessments left to them by Atos, and a contractual obligation to carry out 1.1 million assessments in the first year of the contract. They also allege that most Maximus managers joined from Atos, and are continuing with practices that led to heavy criticism of that company by activists and disabled people who had been subjected to a WCA. And they say that healthcare professionals taken on by Maximus are disciplined and “put in the naughty corner” if they find too many claimants not fit for work and eligible to be placed in the support group of the out-of-work disability benefit, employment and support allowance. One of the whistleblowers said: “We are finding our self-esteem becoming lower and lower, while disabled colleagues struggle without assistance. “I have never seen professional people in high-pressure jobs crumble like that, being made to feel like second-class citizens. They have described how nurses left well-paid, secure jobs in the NHS, after promises of starting salaries of up to £38,000 a year and nine-to-five hours, but were sacked after just weeks, or sometimes even days, when they failed to score high enough marks during their four-week training, or after they started carrying out assessments. One former member of staff said that disabled employees were being sacked “left, right and centre”. She said: “If they can’t look after the disabled people who are working for them – not recognising their needs and what they need to do the job – how on earth have they got the audacity to make judgments on disabled people coming into their office for assessments? “I know a couple of disabled people there, and I would see them crying at their desks, because of the blame culture. Out of three groups of eight staff who carried out the four-week training together, only one of them secured a permanent job, leaving the other 23 all out-of-work, just weeks after handing in their notice, in many cases to the NHS. One of the four whistleblowers had been working as a sexual health nurse with an NHS trust but was attracted to the salary and working hours offered by a Maximus job advert. After being passed the allegations by DNS, a Maximus spokesman said: “We have a comprehensive and robust recruitment plan to ensure we meet the requirements of our contract with DWP. “We seek to uphold the highest clinical standards for candidates both in training and throughout their careers. “Inevitably, some people do not meet the required standard or voluntarily exit our training programmes. This ensures we maintain high clinical standards, which is our number one priority. “We have a high performing and supportive workplace culture, with a human resources policy that ensures any complaints about staff are investigated and taken seriously and we have a zero tolerance approach to bullying. “We welcome applications from people with disabilities and aim to make reasonable adjustments to accommodate their specific requirements. “High quality clinical involvement is vitally important if customers are to feel confident about their assessments. In a further twist, the recruitment company paid to find assessors for Maximus, the SJB Group, appears to have links with Atos. Keith Wilman, SJB’s non-executive director, was formerly chair of Atos UK and Ireland, although he is no longer in that role. He said that SJB was not owned or part-owned by Atos.